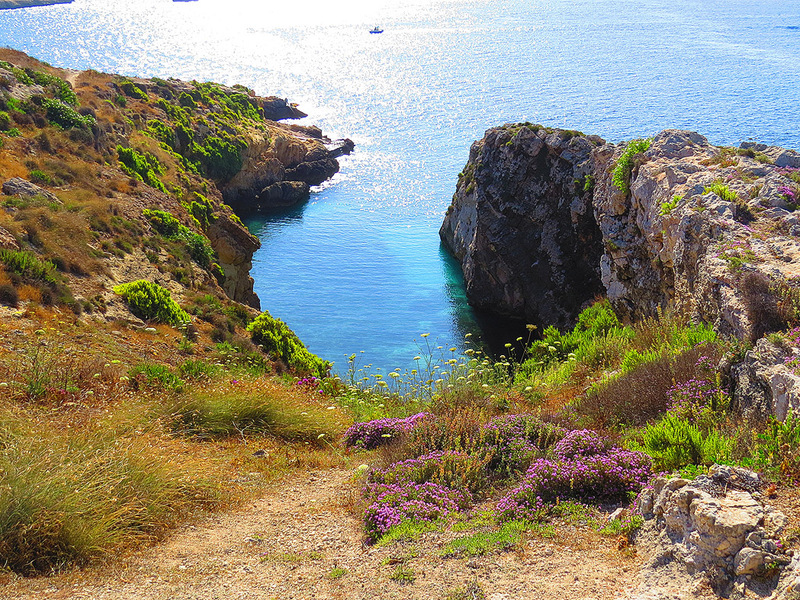 The two mile stretch of coast from Mgarr Harbour to Qala Point is known for one of Gozo’s favourite beaches. 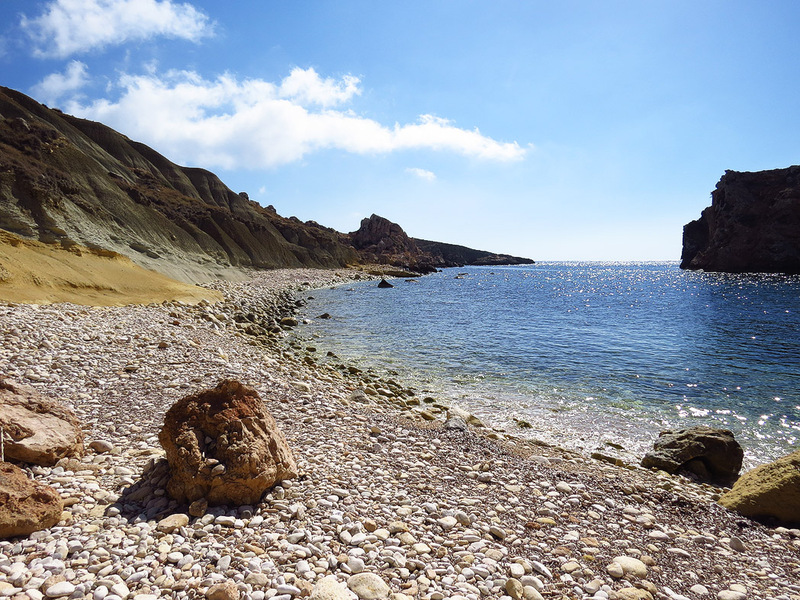 The tiny cove of Hondoq ir-Rummien is the beach of choice not only for the residents of Qala – the nearest village – but also for swimmers who appreciate the clear and clean waters of this miniscule bay. Although Gozo’s beaches are far less crowded than the beaches on mainland Malta, Hondoq does tend to fill up quickly and is also a favourite starting off point for divers who venture out to deeper waters. But the Qala coast has a number of tiny beaches and for the most part these are deserted because access by car is not an option and walking in the summer heat is only for the few who will bravely make the effort to discover something unique and off the beaten track. 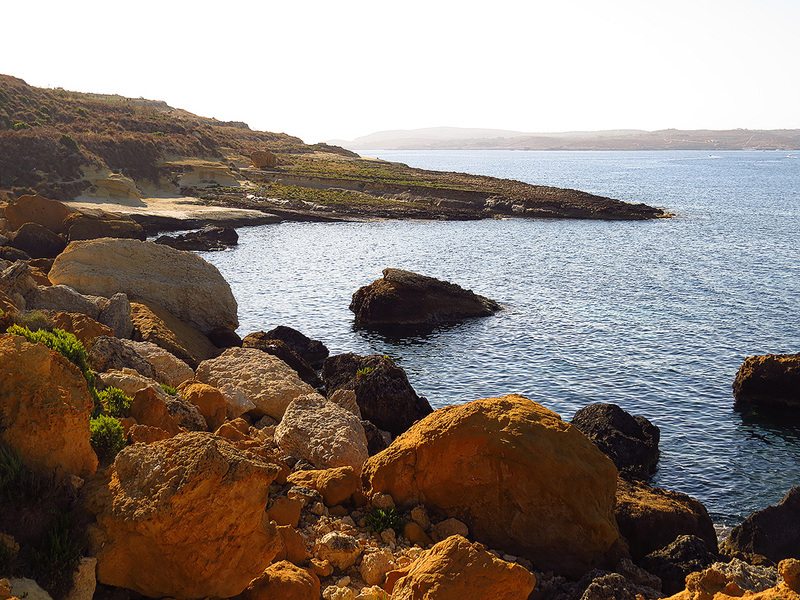 Just outside Mgarr Harbour is the beach known as Iz-Zewwieqa. This is quite a popular bathing spot since it is quite close to the harbour. But a path from here leads to a couple more inlets and a few rock shelfs with very accessible bathing waters – and naturally the further away from the harbour the quieter it becomes. The harbour path meanders for about a mile and leads to Hondoq but there are a couple more sheltered coves along the way. In all of them the bathing is excellent. One inlet just short of Hondoq proper is probably the most picturesque in the area. From Hondoq it is not possible to continue along the coast but one has to make one’s way some way up the Hondoq Road and then turn left down a path to find a few more deserted beaches. The first one to come up is colloquially known as Cable Bay. Once again there is good swimming off a gentle rock shelf. A couple of salt pans complete the picture here. 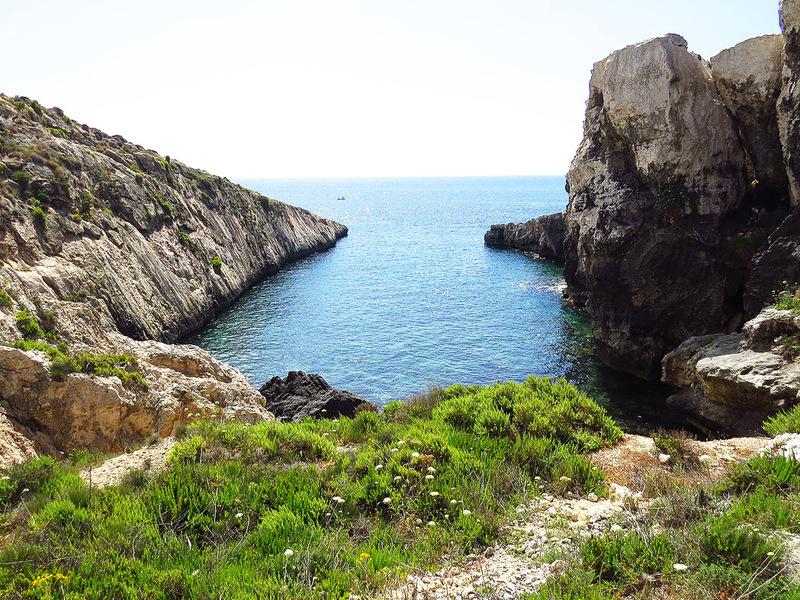 Round the corner from Cable Bay is probably Gozo’s best hidden beach, known locally as iz-Zirka. This is a very picturesque pebbly beach backed up by clay slopes. A huge lone rock known as Il-Gebla tal-Halfa rises out of the sea here to complete this picture postcard location. 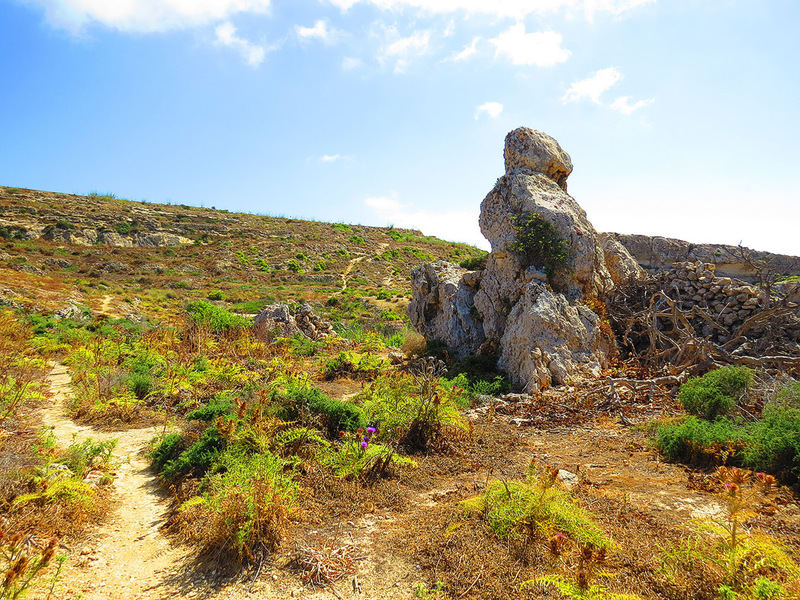 The next two inlets, though just next to iz-Zirka, are quite hard to get to, and are more accessible from a path that from the outskirts of Qala leads to St. Anthony’s Battery at Qala Point – a recently restored minor fortification dating from 1730. The inlet known as Ta Bugass is a picturesque fjord-like inlet with somewhat difficult sea access but next to it is a smaller shingle beach which is the prefect getaway for anyone seeking peace and quiet. If secluded beaches is your thing, this stretch of coast is certainly worth the time for exploration.